From ISO compliance, to audit management, corrective actions, and more, AOQuality has you covered with its turnkey, cloud-based solution users love. AOQuality is a cloud-based Quality Management System (QMS) designed to make quality control more flexible, automated and human-friendly. Breeze through your ISO 9001 or ISO 13485 certification and easily adhere to other industry standards and regulations. Build better products faster by improving collaboration, collecting customer feedback, and quickly repairing defects. Let your employees work faster and happier by giving them tools they will love to use. Simplify and streamline audit processes. 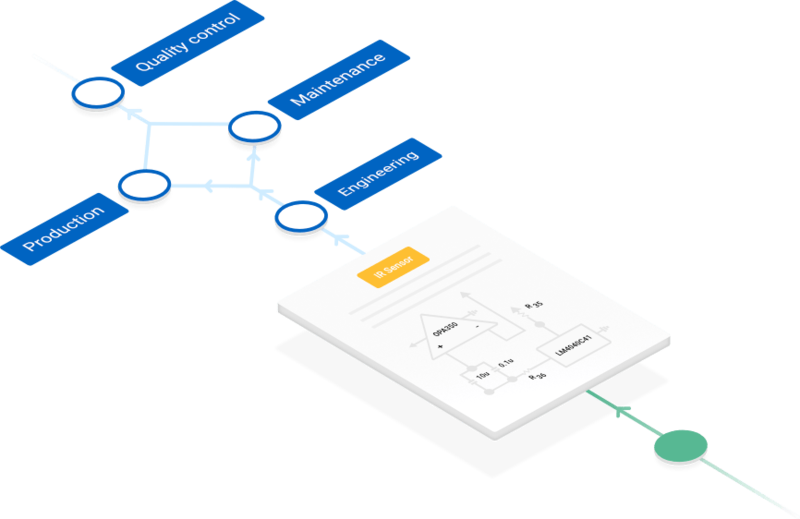 Automatically route CAPAs to the right quality manager so they can trigger proper workflows. Organize all documents in a centralized, searchable database. Manage the complexity of today’s test management with a flexible and collaborative environment. Investigate, monitor, and report on incidents, leveraging metadata for analysis. Control the chaos: start workflows via lease dates and automate the asset discovery process. Identify and organize the tasks required to implement change and analyze their impact. Keep policies and procedures up to date with automated reviews. React to defects immediately by automatically assigning work orders to implement solutions faster. AOQuality’s SaaS-model allows your company to be up and running in minutes, enjoying the agility and collaborative features of our cloud-based software. We're honored to have some of the most talented companies already onboard using AOQuality. Copyright © 2019 AODocs Inc. All rights reserved.